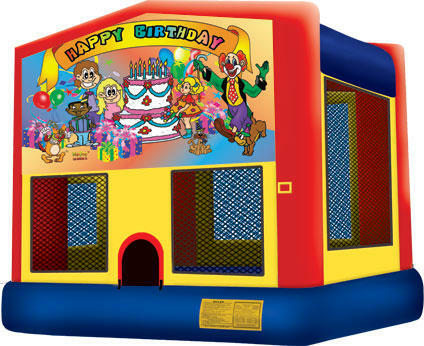 Happy Birthday from the clowns of bounce town, this bouncer is 13 x 13 in size and will be the big hit for your special ones birthday or party. Has an inflatable step on front to ease the entering and exiting from the huge jumping area. We bring fun for everyone in and around Eagle Lake, Mulberry and all of the surrounding areas in Polk County Florida.